Savvi Boys & Girls Bumper Pack ~ 200 tattoos in total! 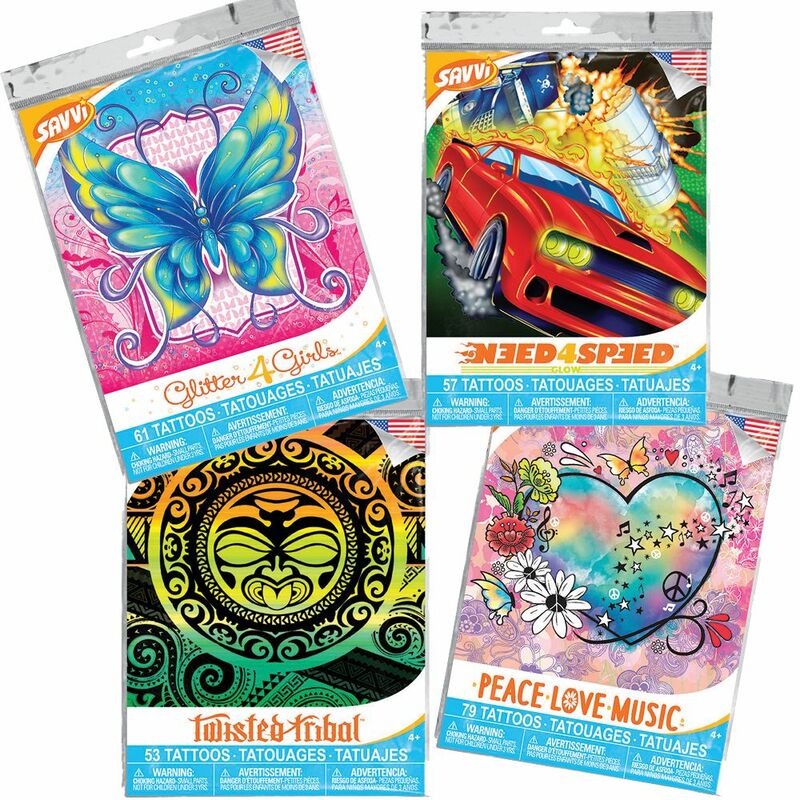 Each bumper pack contains 2 x Savvi Girls Tattoo Packs & 2 x Savvi Boys Tattoo Packs, each individual pack contains at least 50 temporary tattoos so that is a total of 200 tattoos in every pack. You will get 4 different designed packets in each set. These tattoos are ideal for gifts, parties, fancy dress or you can even decorate your furniture or room by applying in the same way onto wood, ceramics and plaster. Apply with water, remove with baby oil or rubbing alcohol.